Spring is here and so are the mosquitoes. 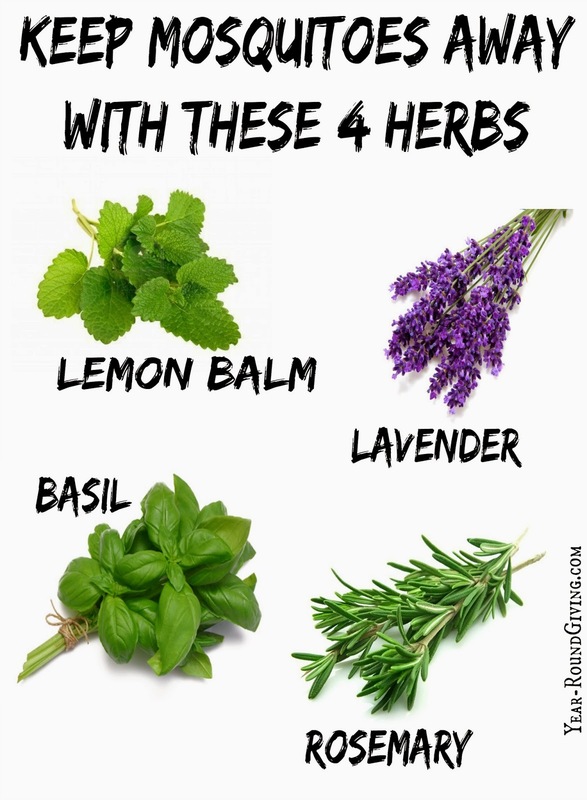 We plan to spend a lot of time out on our deck this season and there are a couple ways I plan on combating those pesky mosquitoes. I absolutely love our new property. We have 1.5 acres overlooking a lake out in the "country". One thing about living out in the country, it is pitch black at night. I actually saw a shooting star the other night. 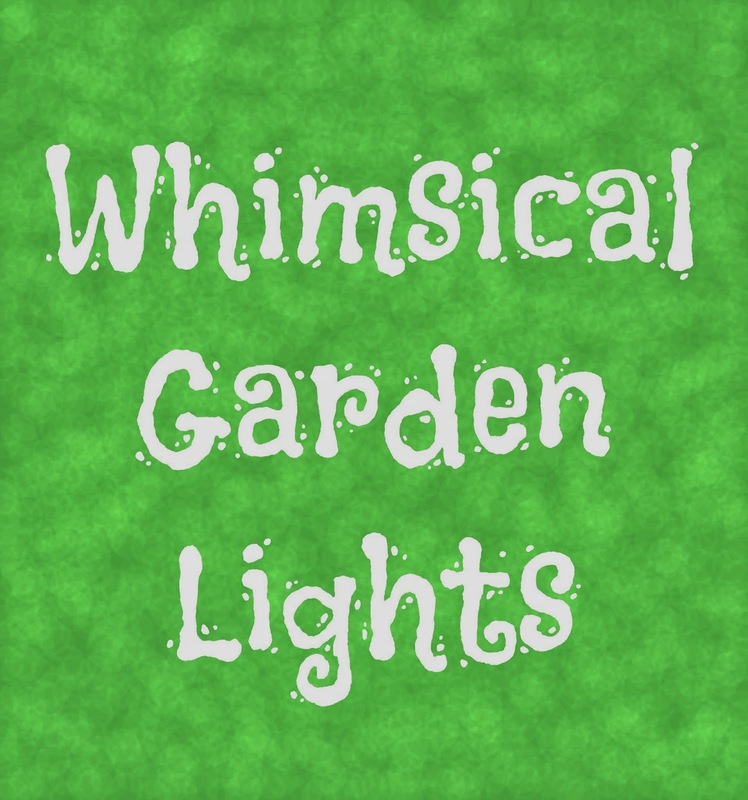 I have been looking for decorative garden lighting and I have found some pretty neat lighting options. Here are my 4 favorite options. 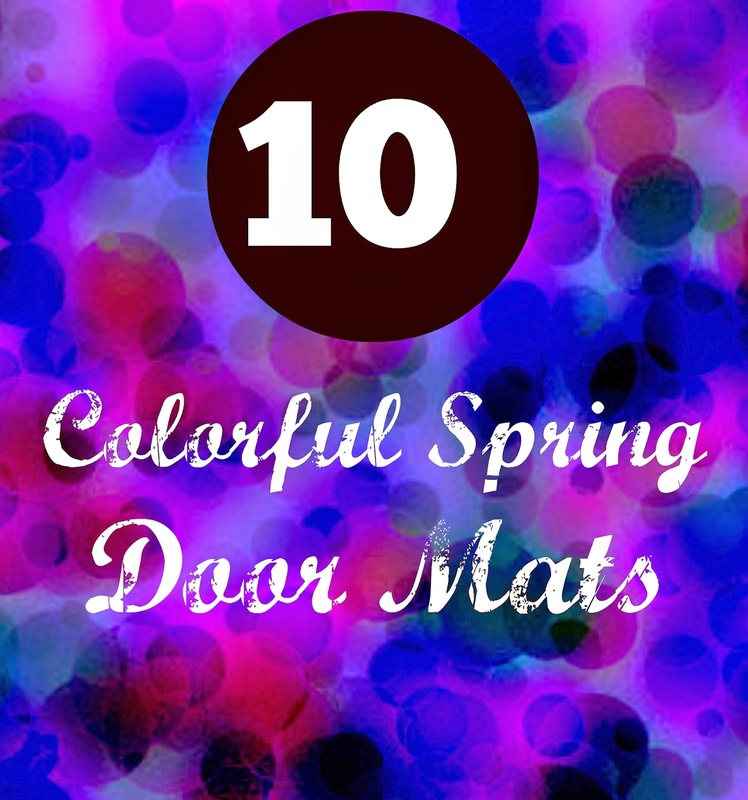 With Spring nearly here and the weather warming up it is time to freshen up the yard. One thing I love is a new colorful garden flag. 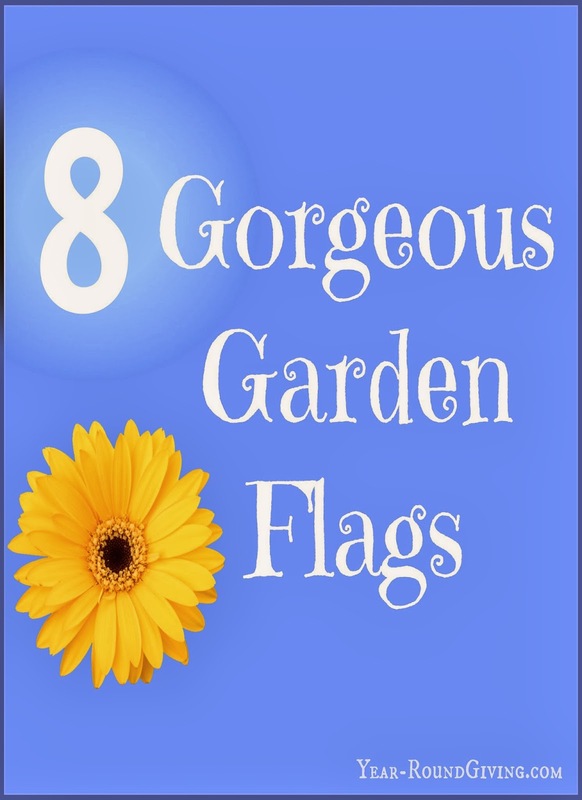 Here are 8 gorgeous garden flags for this Spring! Pudding pops are so good but very basic. I wanted to take my favorite childhood treat and take it up a notch. I wanted to create a pudding pop with an adult flavor. 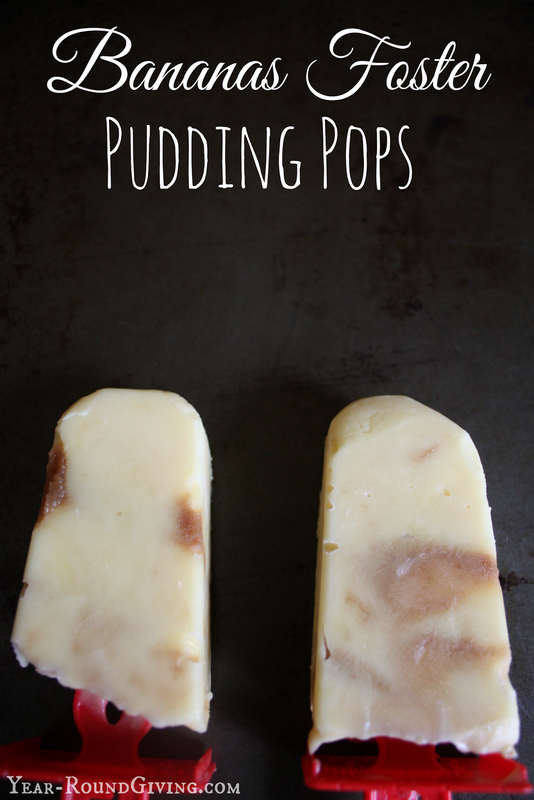 Here is my recipe for Bananas Foster Pudding Pops. 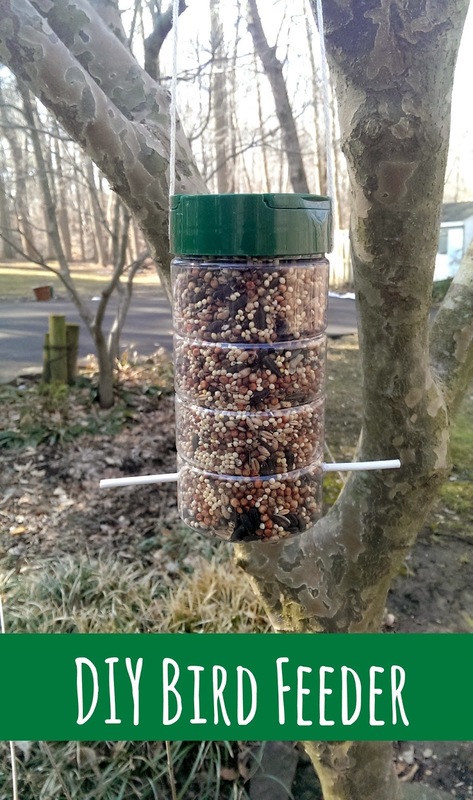 Here is a simple to make bird feeder using materials you may already have on hand. 1. Cut an X evenly near the bottom of both sides of the Parmesan cheese container. This is where you will punch threw the lollipop stick. 2. Cut small circles about 2 inches above the X cuts. This is where the birds will get the bird seeds. 3. Punch the lollipop stick through the X cuts. 4. 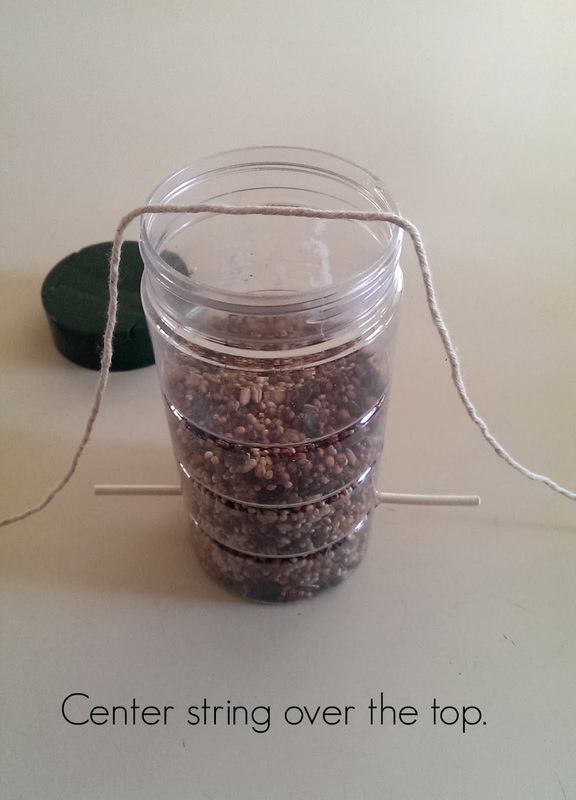 Fill the container with seeds. 6. Holding string in place. Put the lid on and screw into place. 7. Hang in a place where the birds will find it. Blue is one of my favorite colors and is a gorgeous color that compliments a garden. 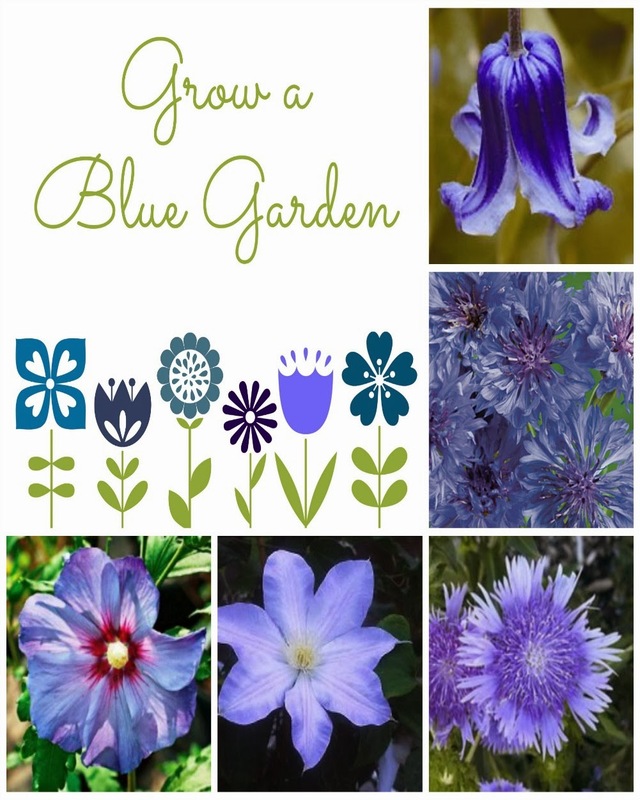 Here is a list of blue flowers you can grow in your garden. I have included a quick description, USDA Zones, and a link to where to buy them. Running low on coffee? Cross Country Cafe has a great deal going on now thru March 11th. 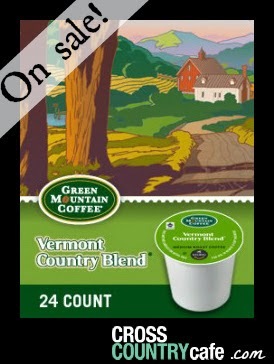 Vermont Country blend 24 count box is only $11.99. That is $0.50 a cup. In grocery stores a 12 ct box usually runs around $7.99. 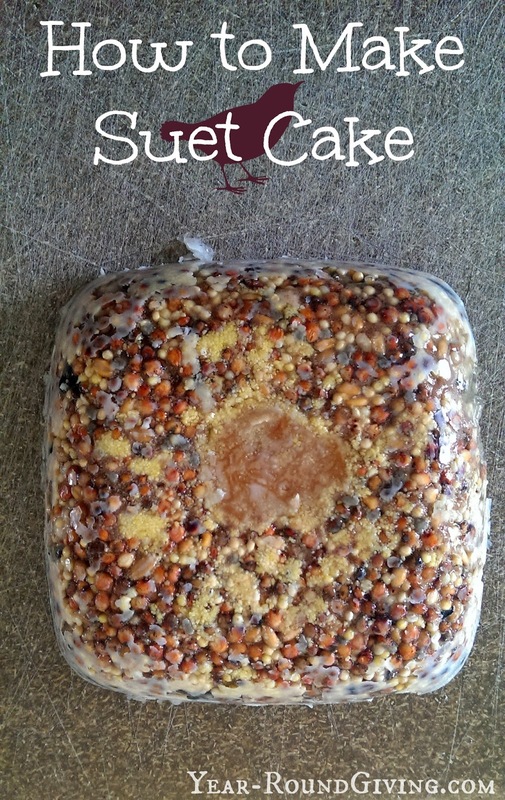 Homemade suet cake is really easy and uses ingredients other than birdseed that you already have on hand. 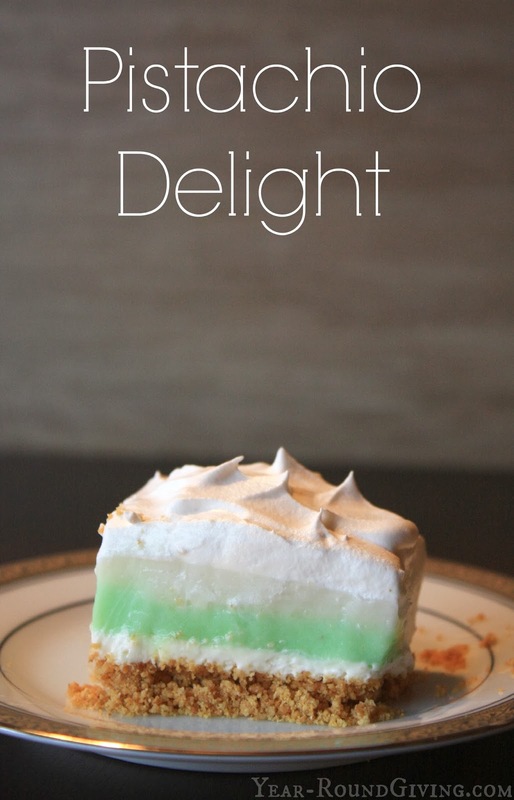 This Pistachio Delight is a fantastic green dessert for the upcoming St. Patrick's Day celebrations. The recipe was inspired by a BBQ joint that I used to frequent in Middle Georgia. Georgia Bob's has the best BBQ and the best Chocolate Delight. 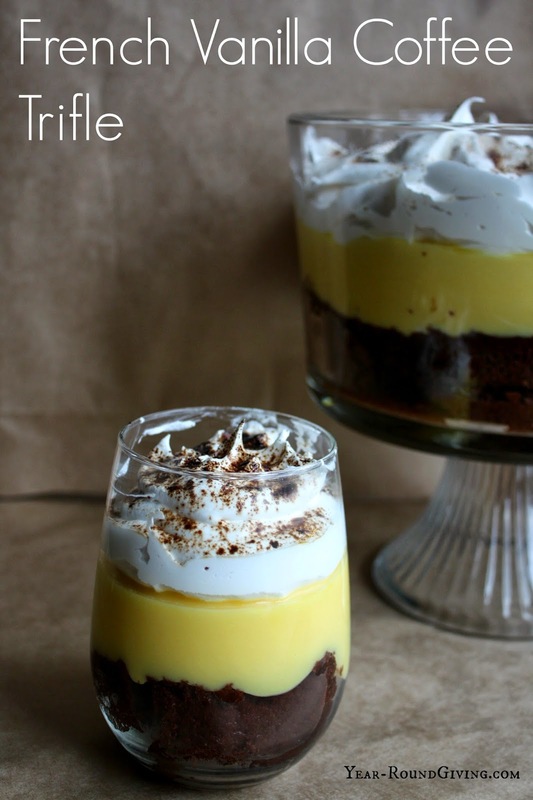 Their Chocolate Delight uses Chocolate & Vanilla pudding. For my Pistachio Delight I am using White Chocolate & Pistachio pudding. If you are ever in the Macon/Warner Robins GA area be sure to stop by for lunch or dinner. Craving Coconut? 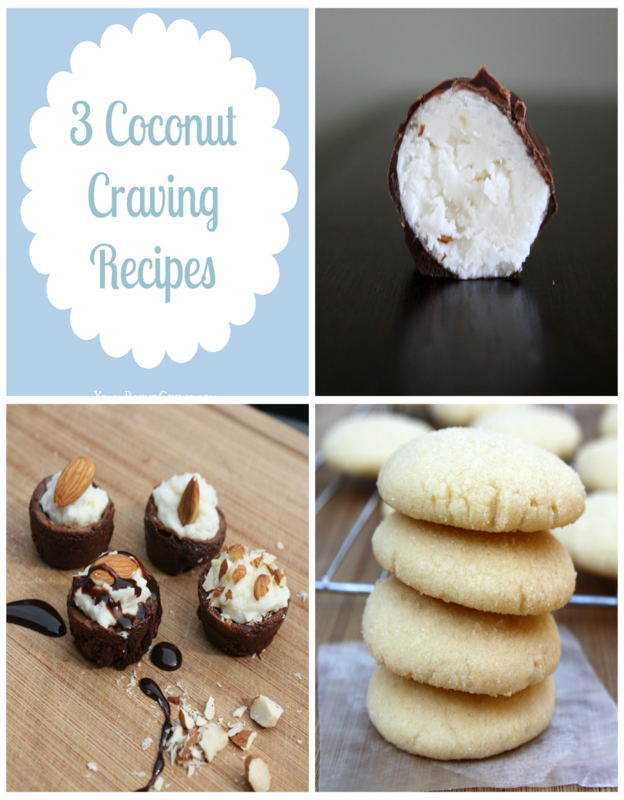 Here are my 3 coconut recipes that will give you your coconut fix. Recipes include bon bons, brownies and cookies all with a twist of coconut.